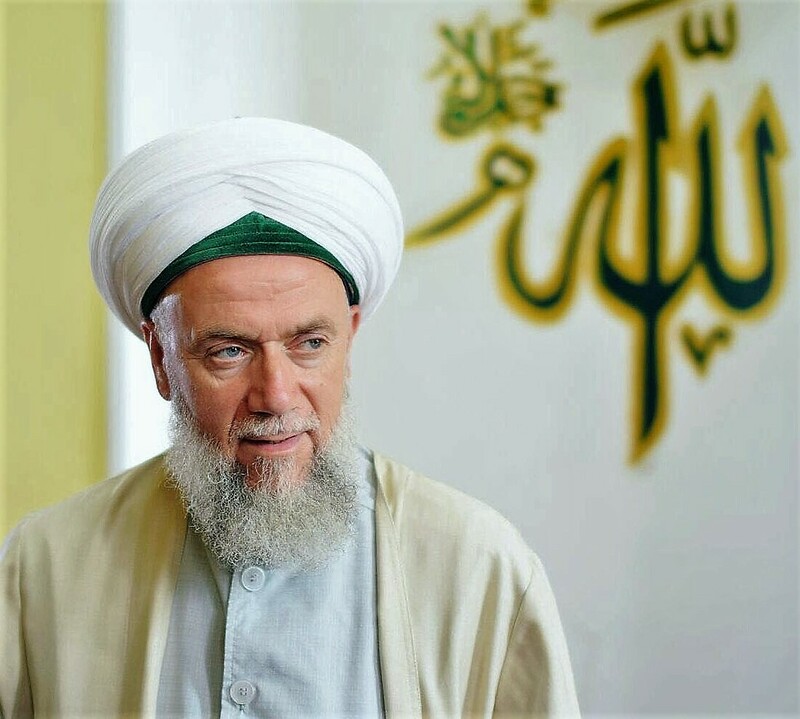 Welcome to the website of the Singapore Naqshbandi ‘Aliyyah Tariqah, under the watchful guidance of Shaykh Muhammad Adil ar-Rabbani! We begin by seeking protection in our Lord, against the wiles and traps of the accursed devil, as the devil is a creature who has dedicated its existence, solely to drag Man into eternal damnation. And we continue by reciting the blessed verse, Bismillahir Rahmannir Raheem, in the Name of Allah Almighty, the Most Compassionate, the Most Merciful. The Most Merciful has sent, Sayyidina Muhammad (saw), as a Mercy to Mankind. 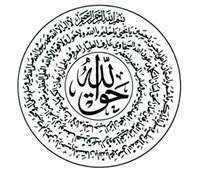 We send our love, salams and selawats upon our beloved Prophet (saw), Habeebullah, the One loved by His Lord. Assalamu’alaikum wrh wbkt, oh Seekers. You have not arrived at this portal, by accident. Nothing in this Universe happens without a reason. Nothing happens without infinite wisdoms hidden within it, even if it is a trivial occurence. Even the creation of a humble leech brings so much benefit to Man. You are here, because it has been written that you would be guided to this portal. It has been Divinely ordained, since the Day of Promises, long before you were despatched to this earthly realm, that you would be guided by His hand, to the Door that leads to eternal Bliss. Each one of you took a different journey to get here, ‘for the Ways to Allah are more varied that the breaths of Man’, and now you stand at the threshold of self discovery and self realization. From this point, some of you will tarry for a while here, and eventually you will leave, having tasted nothing of its honey, having drank nothing from its intoxicating streams of understanding. To such an unfortunate one, we bid you farewell, for there is no compulsion in religion – you shall be buried, with what you have sown. For the ArchAngel Gabriel (as) once said to Rasulullah (saw). “Do as you please in this world, Oh Muhammad, but remember, you will be accountable for all that you do. And live as you please in this world, Oh Muhammad, but remember, one day, you will taste Death. And love whom you please in your life, Oh Muhammad, but remember, one day, you will part with your loved one in death.” So dear Seeker, you are free to come or go, as you please. Yet, there will be some, who will dip their toes into the waters of these inviting streams, and then, drawn inexplicably into deeper waters, you will fling yourself without fear or restraint, into the raging torrents that you must traverse, as you struggle with your ego and desires, who try to dissuade you from embarking on this perilous journey. At long last, when the river meets the Ocean, the waves subside, calmness descends, and amidst the serene purring of the merging waters, the drop of water that was once You, is no more, the river too, is no more, there is only the wide, limitless Ocean in existence. To such a blessed one, we say, “All praise is due to Allah, who has saved a lost one by His Vast Mercy.” Welcome to the Valley of Eternal Tranquility. Oh Seeker, You must learn about yourself, where you are now and what is your destination.You have but one chance, Oh Seeker, once you pass from this worldly life, you shall never pass this way again. The journey is exhilarating, the destination indescribable, for how can one explain the taste of honey, the sensation of a caress or the palpitations of Love? 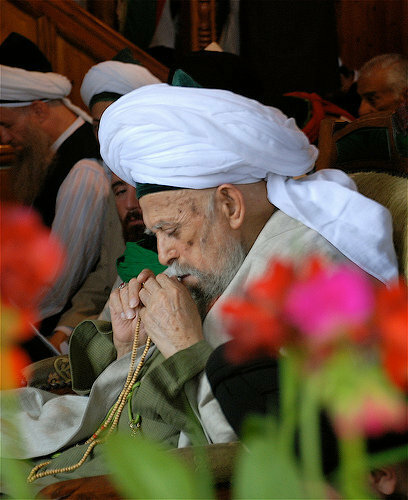 Oh Seeker, you are welcome to draw wisdom from the Suhbahs contained within this site, from the enlightenment that flows from of our beloved Master, Maulana Shaykh Muhammad Nazim Al-Haqqani Al-Adil Al-Qibrisi, the 40th GrandShaykh of the Naqshbandi Tariqat Order. The teachings are drawn from a heart engulfed by Love, devoid of Self, having surrendered totally to the Irresistable One. Maulana does not call you to himself, nor does he call you to this Tariqat. He calls you to embark with him, on a journey of taste, on a journey of Love. Take his hand, taste the Love. Accept his invitation. How can this site help you? How you can help us. If you are lost or need help, drop us an email at admin@SufiHub.com. Or follow/chat with us on Twitter (SufiHub), Skype (SufiHub) or Facebook (SufiHub). You may even send us text messages at 82009955 So keep in touch! We are seeking volunteers to help translate this site into as many languages as possible. Please contact us if you keen to volunteer! Thank you, may Allah bless you for stepping forward. Do register as a member of this site, so that we can update you by email, each time there is a new Post. You may also follow us on Twitter, we are SufiHub. For reproduction of articles from this site, please seek SufiHub’s consent. Suhbah Summaries that are to be reposted (after approval) must be reproduced in full, and their source must be acknowledged. No part of any article on this website may be used for any Commercial purposes or be used without permission. The Blessed Month of Ramadhan – Marhaban ya Ramadhan!